Which Awards Grow Your Local-Search Stature? Every now and then I stumble across a business in Google Places that has a sweet “best-of” –type award sitting right at the top of its Places page. I don’t run across these awards too frequently—but when a business has one, I notice it. More often than not it’s a “Best of CitySearch” award, but sometimes I see other types. For a few years I’ve wondered how many “best local business” awards are out there and (more importantly) which ones can help a business attract more local customers in one way or another. 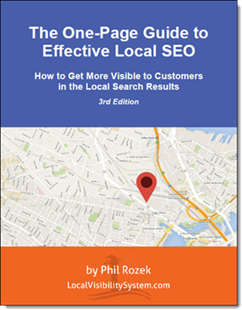 Increase your visibility and reputation to customers on local-business sites other than Google Places. Take a look at this spreadsheet for more info about each award. Chances are your business is eligible for at least one of those awards. But not necessarily. It depends largely on your industry. Just look into the ones that seem as though they might apply to you (that’s why I made the spreadsheet). What if you try hard to get recognized as a “best-of” but don’t end up winning the blue ribbon? Well, you’ll still come out ahead. In order to pursue the award in the first place, you need to get tons of positive feedback from customers—often in the form of glowing reviews. 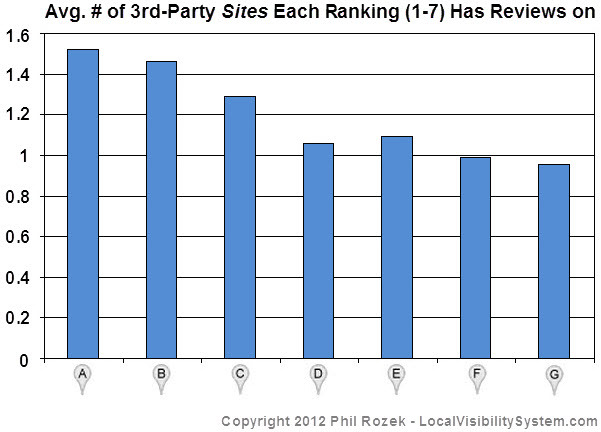 Those third-party reviews can help your Places ranking hugely (as you may know). You’ll also boost your prominence or rankings on the site where you’ve been pursuing the award, which will mean more visibility to potential customers who use that site. Most likely you’ll be pleasantly surprised with the results of your push to win—and you’ll get a snazzier-looking Places page, a good link, more bragging rights, and probably more local customers out of the deal. By the way, please leave a comment if you know of any really good local-biz awards that aren’t on my list. Extra kudos if you can find awards that you’ve seen highlighted on someone’s Google Places page (and that aren’t on my list).